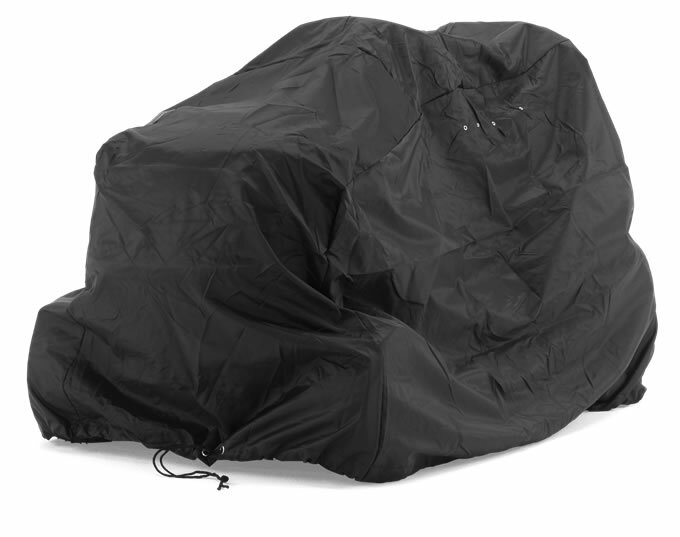 A water-resistant nylon cover for all Husqvarna Riders. Made from nylon with water-resistant properties, this cover allows you to keep your machine protected while not in use. Also benefiting from ventilation holes and an adjustable drawstring.